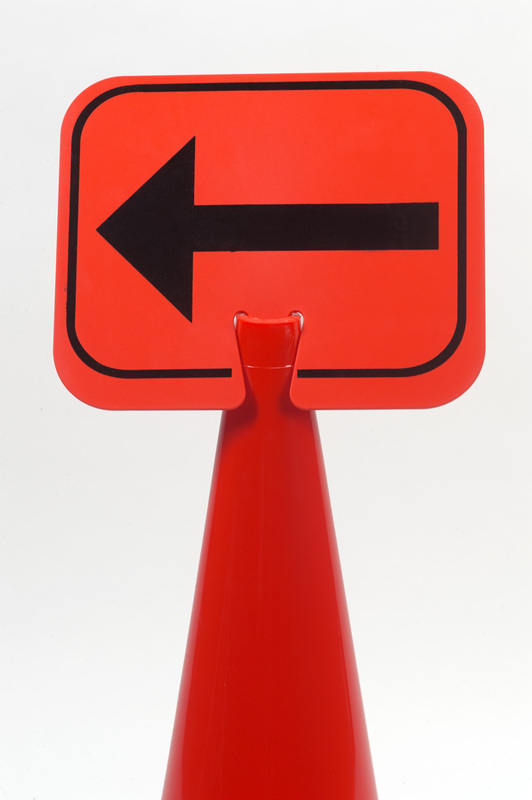 Traffic cone signs are supplemental standard warnings and directions that create a safer work environment, and have been shown by the Federal Highway Administration to improve safety and reduce liability. 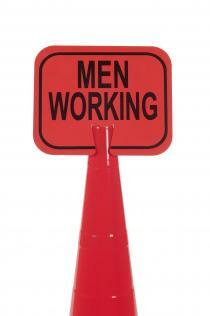 Specially cut groves allow the signs to install and in seconds and lock firmly in place. 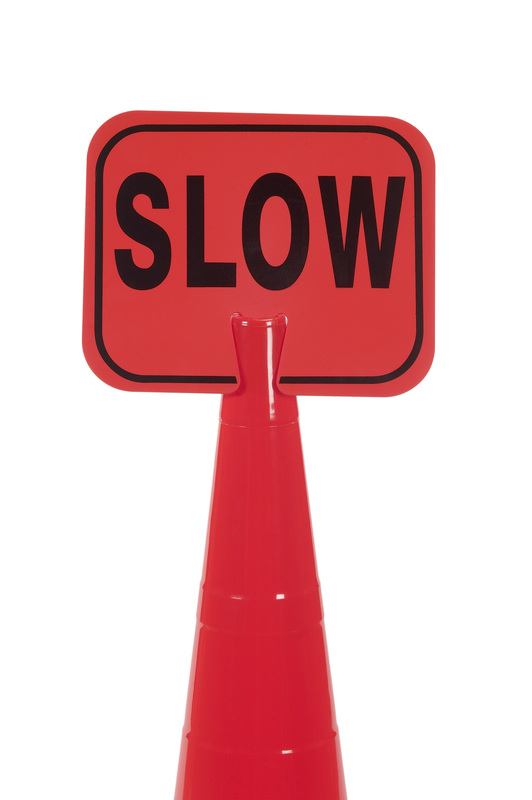 All weather UV resistant construction maintains their high-visibility color. 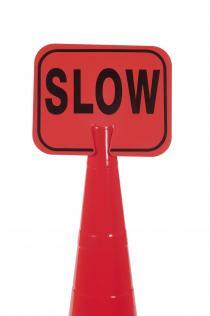 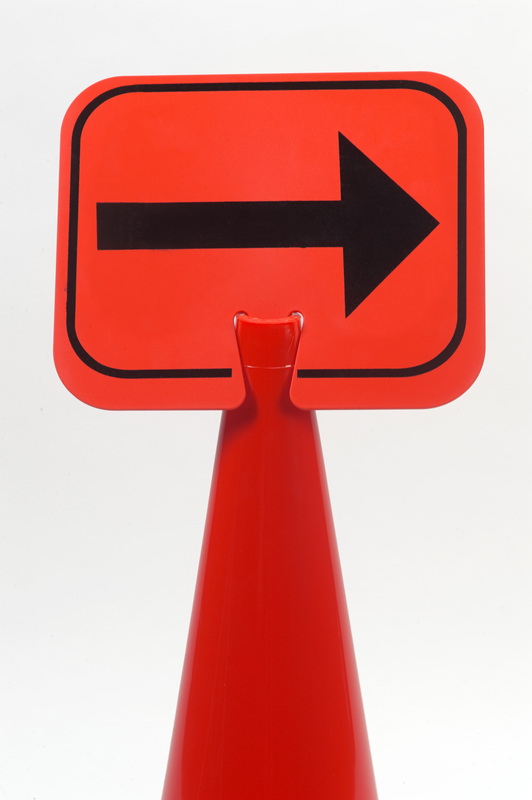 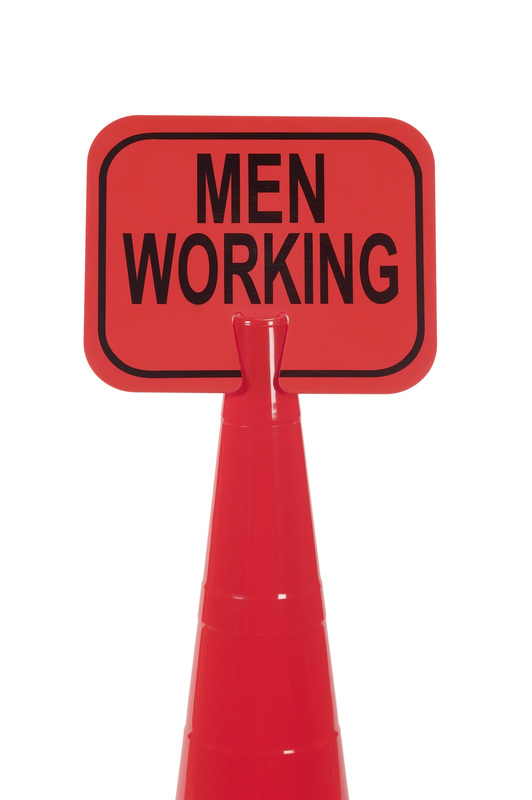 In addition to use on traffic cones, these durable, reusable signs can also be used on traffic barrels and traffic delineators.